Portland Thorns FC have waived defender Nikki Marshall, the team announced late Friday. Marshall started all 24 matches for the NWSL champions. The move comes on a day of several roster changes around the league, but Marshall’s release from Portland is the most surprising of all. 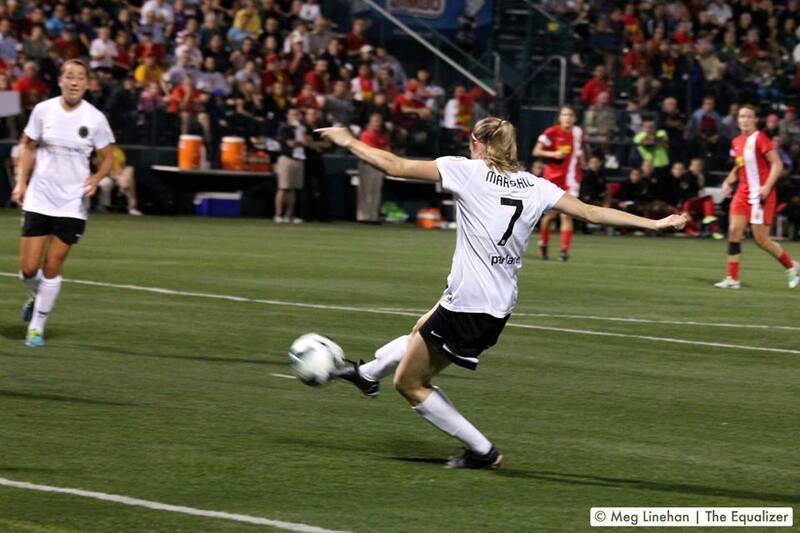 She played all but 109 minutes for Portland this season, primarily at left back. Friday was the first day on which teams could make roster moves following the July 31 roster freeze date. Players who did not have their option exercised or were waived can be claimed by other teams beginning Monday. Additionally, The Equalizer has confirmed that August 31 was the deadline for U.S. national team players to declare whether or not they plan to play overseas. BOSTON BREAKERS: Waived waived defender/midfielder Jo Dragotta and declined the option on goalkeeper Ashley Phillips. CHICAGO RED STARS: Mutual option was not renewed on Inka Grings & Sonja Fuss. Grings has already signed with FC Köln in Germany. FC KANSAS CITY: Waived forward Tiffany Cameron. PORTLAND THORNS FC: Waived defender Nikki Marshall. SEATTLE REIGN FC: has waived forward Kristina Larsen and midfielder Kristin Meier.